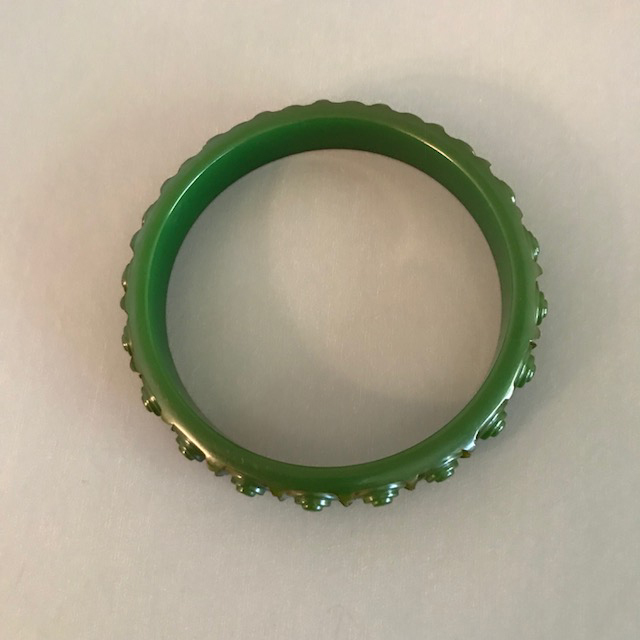 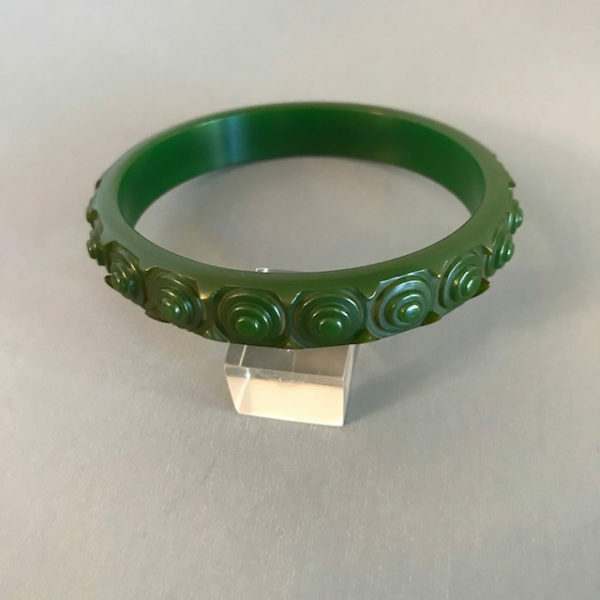 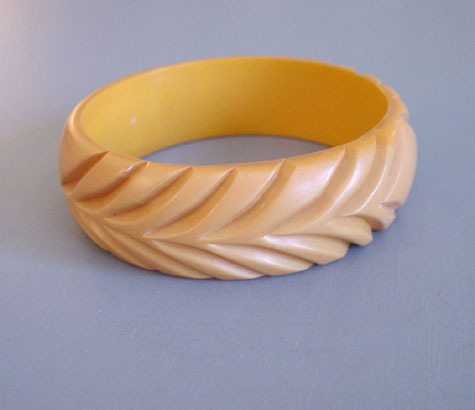 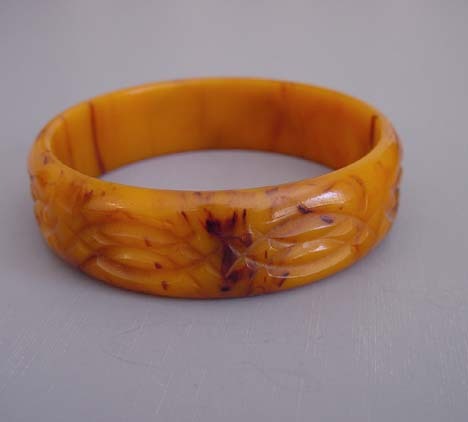 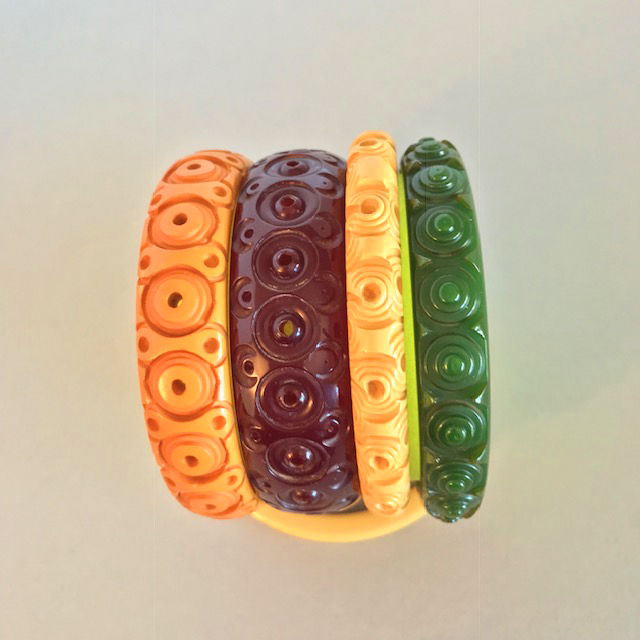 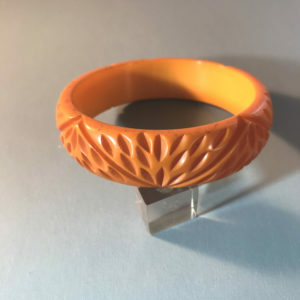 BAKELITE evergreen spacer bangle with carved concentric circles all the way around, 2-1/2" by 1/2" with 1/4" walls, circa 1940. 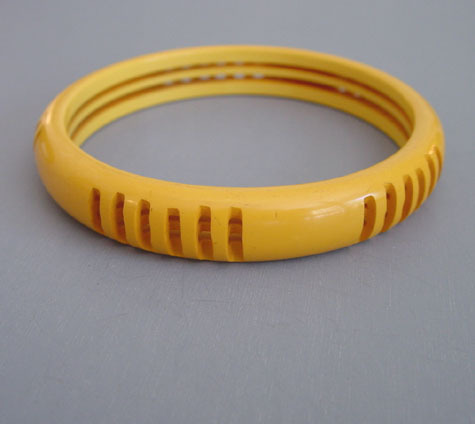 Spacers like this are fun to stack with others like it, seen in the last two photos here, or to use between wider bangles. 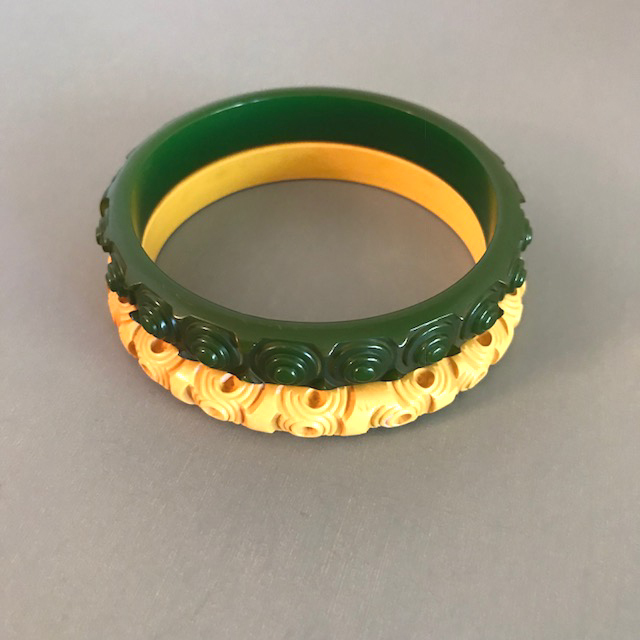 This price is for the one green bangle only.